Come to the Mount Independence State Historic Site in Orwell, Vermont, on Saturday, June 2, 2018, for a guided history walk from 2:00 to 3:30 p.m. This is one of many special walks and hikes across the country to celebrate National Trails Day. Mark Brownell, retired history teacher and board member of the Mount Independence Coalition, the site friends group, will be your leader. He is happy to share his wealth of knowledge about the Revolutionary War at Mount Independence and what you can see on the grounds. Meet at the museum. Wear sturdy shoes or boots and bring water if you like. Admission is $5.00 for adults and free for children under 15, and includes the museum and all the trails. Call 802-948-2000 for more information. 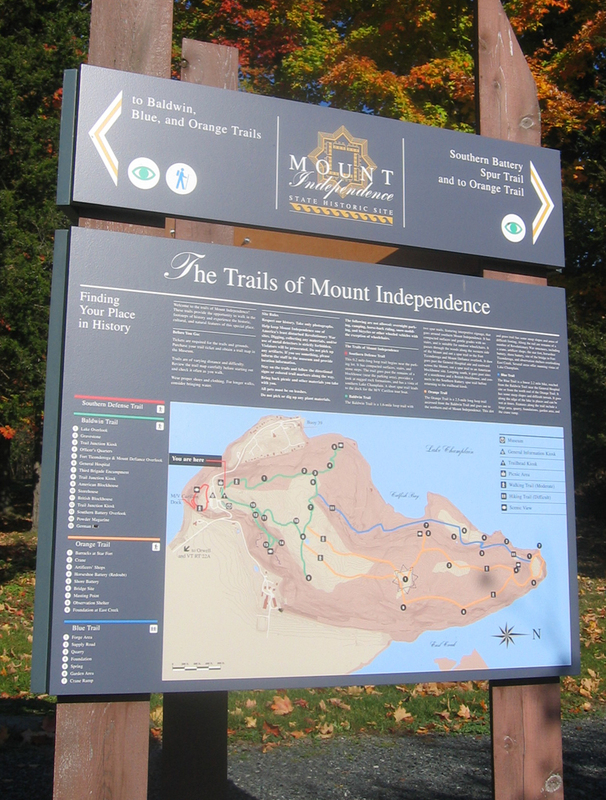 The Mount Independence State Historic Site is one of the best preserved Revolutionary War archaeological sites. It is located at 497 Mount Independence Road, six miles west of the intersections of Vermont Routes 22A and 73 near Orwell village. Carefully follow the signs. Hours are 10:00 a.m. to 5:00 p.m. daily through October 14.